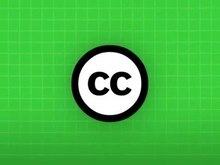 ↑ "What are Creative Commons licenses?". Frequently Asked Questions - Creative Commons. حاصل ڪيل July 26, 2015. ↑ "Retired Legal Tools". ڪريئيٽيو ڪامنز. حاصل ڪيل April 23, 2016. ↑ "Announcing (and explaining) our new 2.0 licenses". Creativecommons.org. حاصل ڪيل April 23, 2016. ↑ 5.0 5.1 "About The Licenses - Creative Commons". ڪريئيٽيو ڪامنز. حاصل ڪيل April 23, 2016. ↑ "CC0". ڪريئيٽيو ڪامنز. حاصل ڪيل April 23, 2016. هيءُ صفحو آخري ڀيرو 17:52، 8 ڊسمبر 2016ع تي ترميميو ويو هو.